Can a lost student, desert recluse, and whitewater crew save Aztec treasures and an ancient pueblo battlefield from looters? "Engaging action... tough, credible characters" -- Readers' Favorite. "...a pure and raw experience..."
"Great characters... more twists and turns than the canyon itself. I didn't want it to end!" "...it pulled me through as though I was on the rapids, too!" 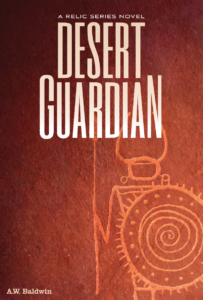 Desert Guardian is available at amazon.com, barnesandnoble.com, and at your local bookstore. 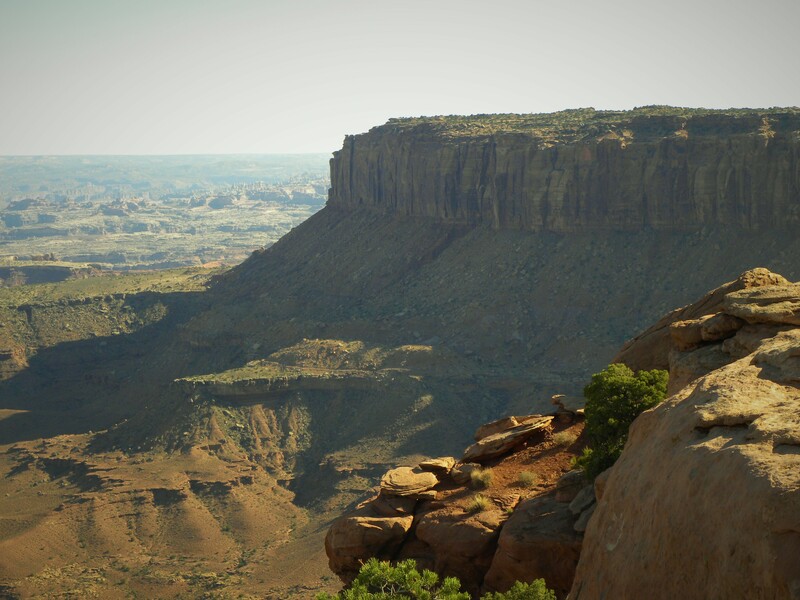 Can a young lawyer and moonshining hermit protect rare petroglyphs and monkey-wrench a corrupt land deal in Canyonlands? "A hoot of an adventure novel"-- Readers' Favorite. 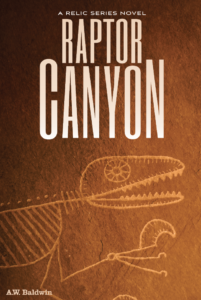 An impromptu murder leads a hermit named Relic to an unlikely set of dinosaur petroglyphs and swindlers using the unique rock art to turn a pristine canyon into a high-end tourist trap. When attorney, Wyatt, and his boss travel to the site to approve the next phase of financing, Wyatt learns the truth about their unorthodox role in the project. A corrupt security chief runs Relic and Wyatt off of the site and the unusual pair must endure each other while fleeing though white-water rapids, remote gorges, and hidden caverns. Faye, who shares covert ties with the treasured site, catalyzes their desperate plan to fight back and to recast the fate of Raptor Canyon. It's "a hoot of an adventure novel... most highly recommended." "A terrific book... a fast-moving tale..."
"Fantastic descriptions... and tense action sequences keep you anxiously turning the pages..."
"...well-defined characters move this exciting story along with plenty of surprises and scares..."
Raptor Canyon is available at amazon.com, barnesandnoble.com, and at your local bookstore. Sign up for special or introductory offers! Sandstone monuments, sheer canyons, and startling vistas provide the unique settings for Desert Guardian and Raptor Canyon. Adventure, mystery, and personal challenge combine in a world surreal in its scope and deeply rooted in American history.